Over the past few months, strict economic and financial sanctions imposed upon Iran by the European Union have been increasingly challenged in EU courts. And time and again, the legality and legitimacy of the sanctions have been struck down by the General Court of the European Union, the international confederation’s second-highest judicial body. Recently, on July 11, 2013, a symposium was held in The Hague on “Unilateral Sanctions and International Law: Views on Legitimacy and Consequences,” during which a number of international jurists and legal analysts spoke out against the unilateral sanctions regime imposed on Iran at the behest and bullying of the United States and Israel. At the heart of the issue is the refusal by EU governments to disclose evidence linking their targets to Iran’s nuclear work. Doing so in court, they say, may expose confidential intelligence, undermining efforts to combat the program. The courts have effectively rejected that argument, saying that if a case is to be made, evidence must be presented. Lawyers for the Iranians argue there simply is no evidence that proves any link to the nuclear program – a view supported by British judges who did review some secret material this year. “It is very clear there is no evidence,” said Sarosh Zaiwalla, senior partner at Zaiwalla & Co, a London law firm which has successfully represented Iran’s Bank Mellat in litigation against sanctions imposed by the EU. The bank, one of the biggest private lenders in Iran, won a case in January in the European Union’s Luxembourg-based second-highest court. It had challenged an EU move in 2010 to freeze its assets, saying the EU had failed to prove the bank provided banking services for the nuclear program. The court agreed. “The chairman of the court asked the EU lawyers, ‘can you show me the evidence?’. And they said ‘no, it’s Iran, and you must presume there is evidence’,” Zaiwalla said. In its January 29 judgment, using dense legal language, the General Court said the council of EU governments was “in breach of the obligation to state reasons and the obligation to disclose to the applicant … the evidence adduced against it”. The lifting of sanctions against Bank Mellat is postponed for now, pending an appeal by EU governments to Europe’s highest court. But the case illustrates the dilemma facing the European Union in its push to stop Iran from advancing the atom work. Government lawyers are telling the courts to trust them and the courts are refusing. To safeguard its sanctions policy and its economic pressure on Iran, the EU may have to present evidence – including sensitive intelligence – in court. But because of rules governing pan-European courts, all evidence would then become public which may damage clandestine operations and unravel the process of devising sanctions. “There is nothing in the current rules to enable us to consider sharing information without it becoming public,” said one European diplomat, speaking on condition of anonymity. In Washington, anxiety over court rulings is mounting. “It’s a real concern of ours that the EU is having difficulties sustaining some of its designations,” David Cohen, the U.S. Treasury Department’s Under Secretary for Terrorism and Financial Intelligence, told Reuters. 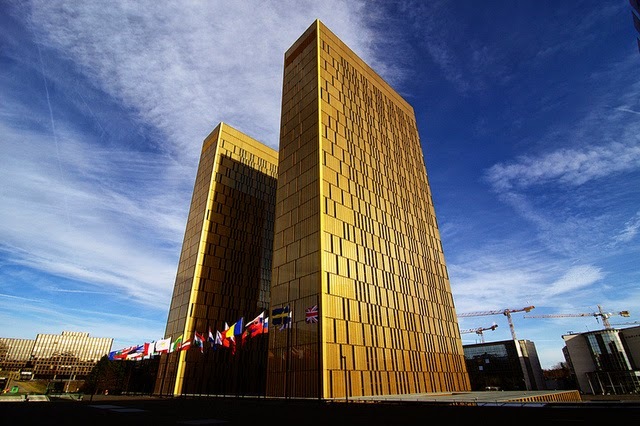 Lawyers for the Iranian plaintiffs paint the conflict as a human rights issue, praising the Luxembourg court for decisions they say amount to taking a stand against government abuse. “It may be politically embarrassing,” said Maya Lester, a London-based lawyer who represents companies and individuals in litigation concerning European sanctions, including the Iranian central bank and the country’s main tanker company, NITC. The Europeans have always been eager to do business with the IRI. Before the sanctions, they were among the IRI's leading trade partners (Iran would sell them oil, and they would sell Iran manufactured goods). Now, they are looking for a way to resume business as usual.